Google has teamed up with the creator of Family Guy to create two minute episodes of a new cartoon called â€œSeth MacFarlaneâ€™s Cavalcade of Cartoon Comedyâ€, an animation series which will appear exclusively on the Internet. Using AdSense advertising system, Google plans to syndicate the program to thousands of Web sites in September. Advertising will be integrated in various ways including preroll ads, brought to you by links and bottom third ads. According to the New York Times, this deal between Google and MacFarlane is one of the largest ever for AdSense. Batman: Gotham Knight is a new entry into the Batman mythos, spinning out of a 40-year history in animation including the Emmy-winning Batman: The Animated Series, widely considered a pivotal moment in American animation. Batman: Gotham Knight will be available on DVD and Blu-ray on July 8th, 2008. 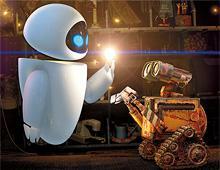 WALL-E, Pixar’s ninth movie, debuted at No. 1 with $63,087,526 in ticket sales! Congrats to everyone at Pixar on a job well done! Below are the opening weekend numbers for all of Pixar’s movies. Disney has confirmed to Upcoming Film Scores that Michael Giacchino, who scored The Incredibles and Ratatouille, has signed on compose the score for Up, their tenth animated film scheduled for theatrical release on May 29, 2008. 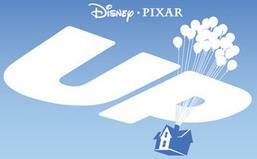 Up, directed by Pete Docter (director of Monsters Inc.) and Bob Peterson (Pixar writer), tells the story of a man in his seventies who travels the world fighting off villains and still makes it home for dinner. The Tale of Despereaux comes to theaters December 19, 2008. Check out these nine production stills below and also, don’t forget to check out the trailer! The Tale of Despereaux tells the story of four unlikely heroes: Despereaux, a brave mouse banished to the dungeon for speaking with a human; Roscuro, a good-hearted rat who loves light and soup, but is exiled to darkness; Pea, a Princess in a gloomy castle who is prisoner to her fatherâ€™s grief; and Mig, a servant girl who longs to be a Princess, but is forced to serve the jailer. 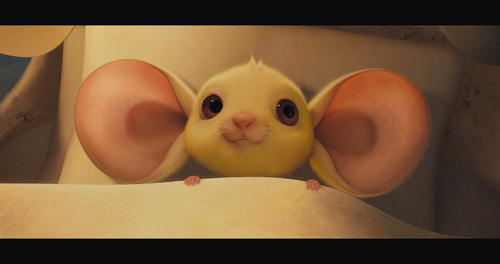 Tiny and graced with oversized ears, Despereaux was born too big for his little world. Refusing to live his life cowering, he befriends a Princess named Pea and learns to read (rather than eat) booksâ€”reveling in stories of knights, dragons and fair maidens. Banished from Mouseworld for being more man than mouse, Despereaux is rescued by another outcast, Roscuro, who also wants to hear the tales. But when the Princess dismisses Roscuroâ€™s friendship, he becomes the ultimate rat and plots revenge with fellow outsider Mig. After Pea is kidnapped, Despereaux discovers he is the only one who can rescue herâ€¦and that even the tiniest mouse can find the courage of a knight in shining armor. In this tale of bravery, forgiveness and redemption, one small creature will teach a kingdom that it takes only a little light to show the truth: what you look like doesnâ€™t equal what you are. 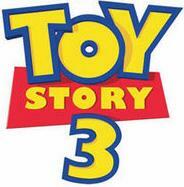 MTV has some new info on Pixar’s 2010 movie Toy Story 3, the last in the series. THQ announced today that the WALL-E video game has shipped into retail outlets throughout North America for Wii, Xbox 360, PlayStation 3, PlayStation 2, PSP, Nintendo DS, Games for Windows, Mac and mobile phones. WALL-E is rated E for everyone and is now available for the suggested retail prices of $49.99 (Wii, Xbox 360, PlayStation 3), $39.99 (PlayStation 2), $29.99 (PSP, Nintendo DS) and $19.99 (Games for Windows, Mac). Players take control of WALL-E and EVE as they relive some of the movie’s thrilling moments throughout more than nine massive environments. Pixar’s WALL-E is leading a campaign by NASA and Walt Disney Studios to promote interest among schoolchildren in science and technology. NASA and Disney have signed a Space Act Agreement for a series of educational and public outreach activities related to Pixar’s new movie, WALL-E, opening in theaters nationwide on June 27. Disney has designed a :30 PSA featuring WALL-E for NASA’s television channels and Web site. The video is designed to draw students to NASA’s Web site to explore the agency’s missions. The WALL-E character also will be featured on NASA’s Kids’ Club page. In addition, Disney has designed a “movie surfer vignette” about WALL-E that touches on science and technology that drives NASA’s programs, which began airing on the Disney Channel in June. Starting June 27 and running through August 27, the El Capitan Theatre in Hollywood will host a special NASA space exploration display, including imagery from the Hubble Space Telescope, which can be enjoyed by all guests coming to see WALL-E there.